The JDCR2000 Performance Module fits 4.5L, 6.8L, 8.1L, & 9.0L Tier III John Deere denso common rail engines . This diesel performance module is designed for fuel economy with up to 30% increase in hp and fuel savings up to 10%-20%. 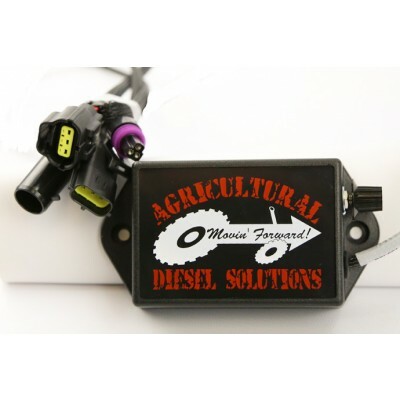 Adjustable with a four position switch you can adjust the power on the fly, Stock, +10%, +20%, & +30% hp. The module doesn't flash the ECM, instead it receives the data from the ECM, optimizes the signal to the engine improving the fuel efficiency and power. So it does indeed promise to pay for itself in pretty short order. Plug-and-play connectivity means there’s no need to cut, splice or modify engine wiring.